Quality Control - Ningbo Yongtuo Construction Machinery Co.,Ltd. Very competitive prices are waiting for you! Will reply your any inquires in 12 hours! 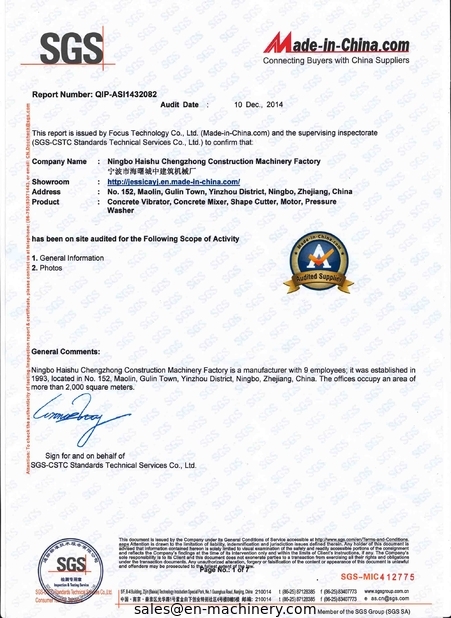 Issued By:SGS-CSTC Standards Technical Services Co.,Ltd.